Discover the place where vibrant modern culture meets a rich artistic heritage when you explore Queen Street West. Situated just 7 blocks from our hotel - about a 10-minute walk - this one-of-a-kind neighborhood has been a hub for young artists for decades. It's also home to the city's fashion district. The Art Gallery of Ontario and the Ontario College of Art and Design are located nearby, and the area is filled with creative energy. Find numerous venues showcasing indie musicians and comedy acts, along with fresh fashion boutiques and tech-centric coffee shops. Relax at a chilled-out café patio over a long lunch, or head out at night to explore the trendsetting restaurants, clubs and bars. Rock, jazz, blues, DJs - it's easy to find a place to groove at Queen Street West. This interesting neighborhood is just one of the top attractions that you can walk to when you stay at our luxurious Toronto hotel. 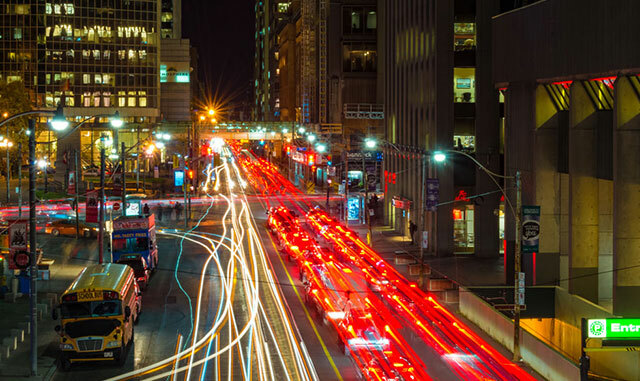 We're situated in the heart of the city's Entertainment District, within strolling distance to the CN Tower, Rogers Centre, Air Canada Centre, Princess of Wales Theatre, and Union Station. Savor the travel experience when you stay as our guest, and enjoy gorgeous views of the city or Lake Ontario. Dine at the acclaimed Azure Restaurant & Bar under a canopy of stars, and visit our lavish spa for the pampering you deserve. Ready to book? Please contact us today to make your reservations.